Feel free to ask Ananda Patil for a new update on this Fundraiser. I would like to thank all of you for supporting my treatment. I haven't forgotten you, you all are in my hearts. After a successful liver transplant, I'm fully fit and fine. I still work in Mumbai Police as a constable. I go for routine check-ups to Jupiter Hospital every month and have my daily medication prescribed by Dr. Prajat Gupte. Wishing good health and positivity to all you Good Samaritans. We recently clicked pictures at the police station and I have uploaded them below. Thanks a lot for your continued support. My health is absolutely fine and I am living a normal life now. I will always be in your debt for showing this kindness. Thanks! My son always says, “Fight till the very end and give it your all so you can face your own self.” And that’s what I’m trying to live every moment by. 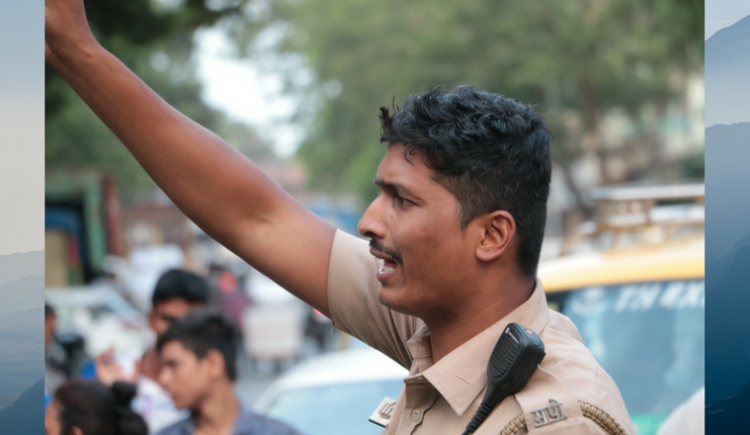 My 28-year-old son Deepak, is a constable in Dongri Police since 6 years now. Right from when he was a kid, he was passionate about serving the country and the people; so we weren’t surprised when he decided to appear for the examination. He’s the bravest person I know; never thinks twice before helping someone in need or doing right by someone. Whenever I come to Mumbai, his seniors and friends at the police station always have the nicest things to say about him - he makes me so proud. Today, my brave and tough son has lost all sense of who he is. 10 days back, I saw my usually quiet and friendly son trying to bite the flesh off of whoever came close to his mouth, while four of his closest friends struggled to tie him to the ambulance bed. Do you know how terrifying it is to see your full grown son behave like that? I was so horrified, I could barely move. 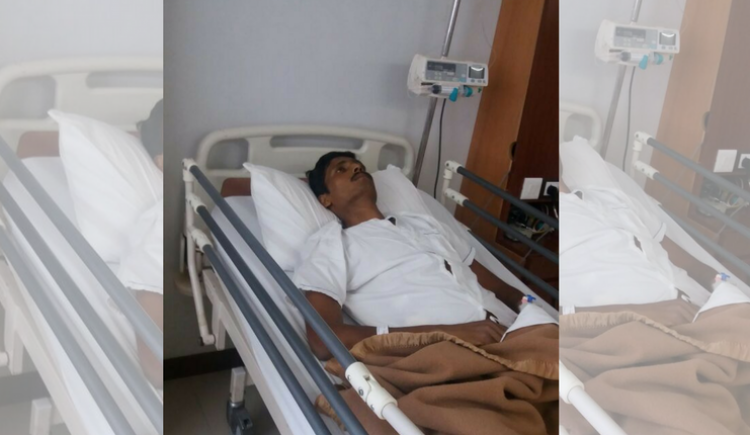 My son Deepak Patil is at End Stage of Liver Disease and Hepatitis B.
I’m sharing my story because after trying everything in my capacity, I’m now in desperate need of help to keep my son alive. He hasn’t opened his eyes since that violent day. He’s unconscious and breathing with the help of machines that travel through his body. To save his life, he needs to get an early liver transplant that costs us a total of Rs. 22,00,000. I’m Ananda Patil, Deepak’s father. My family comprises of my wife, three daughters and my son. Deepak’s service was our only constant source of income that got him about Rs. 15,000 every month. Since this disease got the better of him, that amount has stopped coming in too. Every passing moment, I think of what I can possibly do to get the money we need to save our only son? Deepak had started a new chapter in his life, it had just been a year for his marriage when this disease caught him. Sometime in July, he started turning yellow and developed fever. He lost his appetite; he just wouldn’t eat and he even started having trouble sleeping. When we took him to the hospital, after a few tests, the doctors explained what had happened. 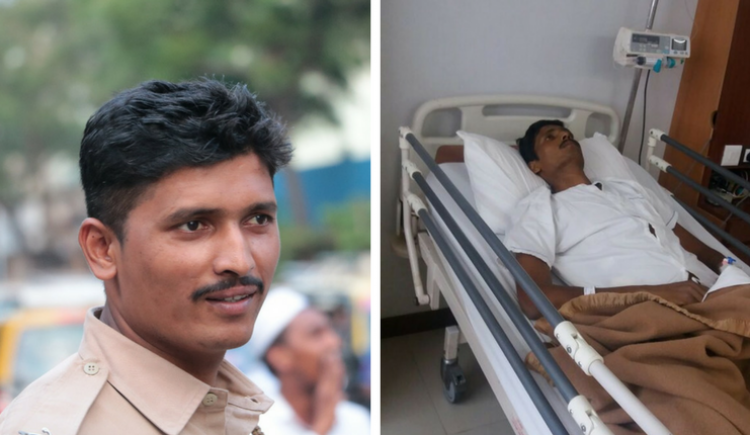 Deepak’s liver had failed and he needed a replacement at the earliest. I just didn’t know how to respond to that. Deepak had always been the one hand holding us in all kinds of situation. I come from a small village in Kolhapur, it’s difficult for me to understand the ways or people of this city. Now with him lying on the hospital bed, I suddenly feel directionless and overwhelmed. Everyday there’s a new bill that we have to arrange money for - either for the medicines, or the machines or the hospital. I hope no father goes through this gut wrenching pain of seeing their own son suffer and failing to manage the amount that’s required to pull him out of that misery. Deepak has always been in everyone’s good books. I say that because most of the funds that we’ve already spent on his treatment have come from his well-wishers and friends. When we explained Deepak’s situation to one of his close friends, he gave an entire month’s salary to us, without batting an eyelid. I wish I could tell Deepak how he was helping me despite being in such a bad place. We’ve spent over Rs. 1 lakh so far. I’ve sold all that my land has produced so far, it hasn’t come anywhere close to the amount we need to rescue our son from this disease. Now we’re hoping to get help in the form of donations from kind people who read our story. Now that God has finally showed us the way - everything depends on how fast we arrange for the amount that a simple man like me cannot even dream of. This world needs more people like my son. Please help me save his life - it would mean the world to me and my family. 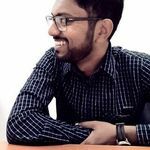 You can help Ananda Patil by donating to his fundraiser on Ketto. Your message will be directly emailed to Ananda Patil and you will receive his/her response on the email address entered below.